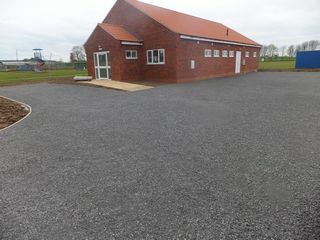 The Car Park & Access Road are looking good. Footpath ramps are all in place leading up to all the doors now. 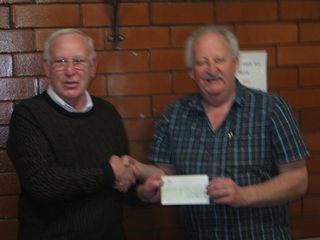 Its hope to have the building open for the end of May… and A view inside the new community room “the lights are on” and Unite the Union’s Scunthorpe Branch Secretary presents Gunness Village Hall Committee Chairman Cllr Dave Oldfield with a cheque for £500 to put towards the village hall project. 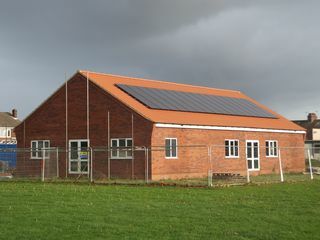 Some pictures showing he building of phase one of the Village Hall. 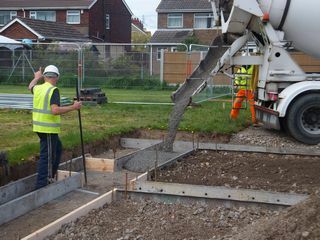 Councillor Dave Oldfield is seen helping with the laying of the foundations. 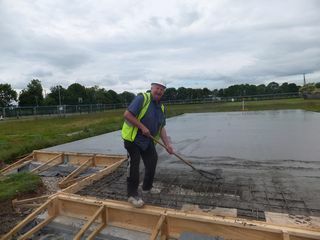 Great News we have funding… The signing of the lease after a very powerful presentation given to Veolia Trust by Cllr Dave Oldfield at a recent Regional Funding panel meeting held in Rugby has resulted in the project receiving an Award of £100,000. 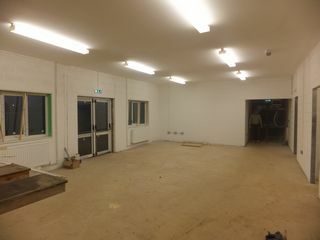 It has been decided by the Gunness Village Hall Fund Committee to split the project in to two phases in order to make progress. 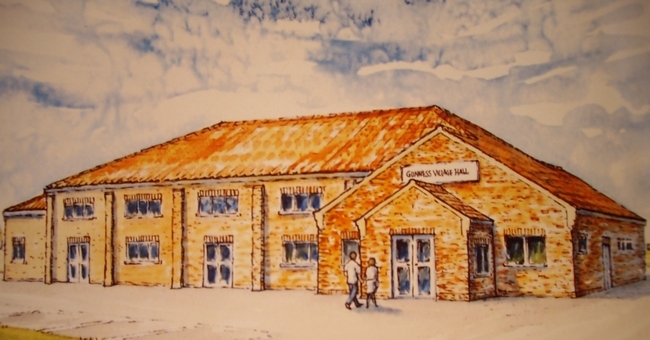 Along with Gunness Parish Council agreeing the ground lease for Phase 1 of the Village Hall Project. Officers of North Lincolnshire Council’s Legal & Estates department have acted for & worked with the Parish Council to agree this historic document which was signed on Wednesday 15th January 2014.